Last month I gave you a little sneak peek of a travel assignment I was working on. Sea Cuisine has been featuring recipes and flavors inspired by travel and my husband I got the super rough assignment of exploring the beautiful island of Anguilla, and a little bit of St. Maarten as well. It was a fabulous adventure, and the work I did for Sea Cuisine will be featured all next week on The Seafood Spot, so keep your eye out for that. Kate and I have a fun week of Caribbean inspired recipes to get you in the mood! One of the things I was most surprised by, is the European influence on the islands. 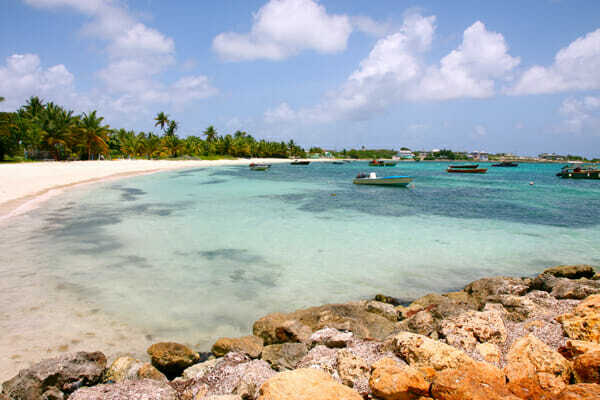 That shouldn’t be a surprise, seeing as Anguilla is an overseas British Territory and St. Maarten is owned by the French and the Dutch, but I absolutely loved the combination of European life and Caribbean life, and the strong influences in the food as well. My favorite part? The fact that these gorgeous tropical islands are dotted with traditional French bakeries- pretty much my dream world. 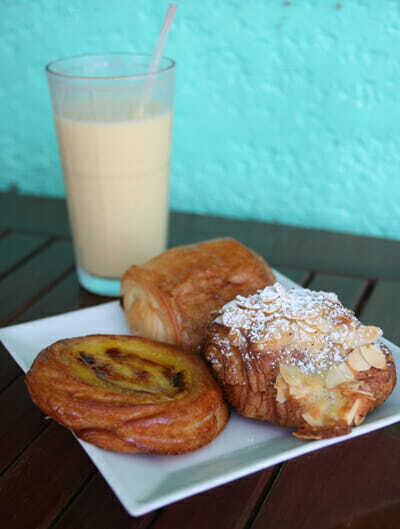 When we drove past our first pastry shop we wondered if a French bakery on a tropical island would have my favorite Hawaiian treat: Coconut Turnovers. Sure enough. 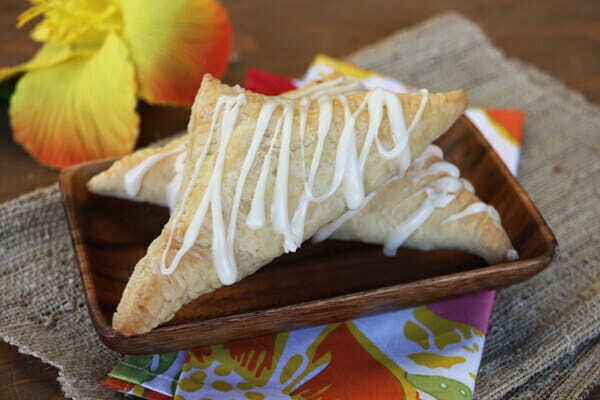 Buttery, flaky dough filled with soft coconut filling. I’m pretty sure I moaned when I took my first bite and vowed to recreate it when we got home. Puff pastry dough is something I always keep in my freezer. It’s an incredibly versatile ingredient in both sweet and savory dishes, and I figured it would be the easiest way to create a knock-off of this island favorite. 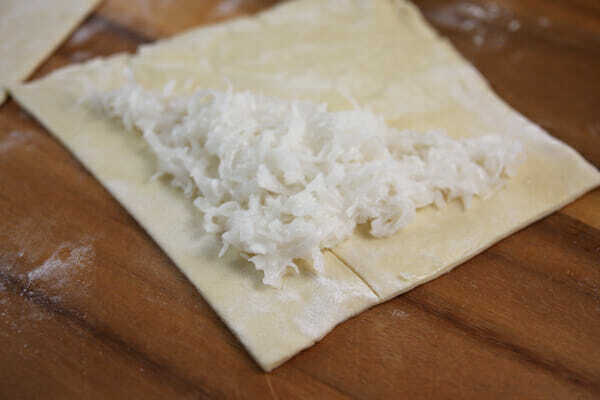 Thaw out the puff pastry dough according to package directions. Lay it out on a lightly floured surface and roll it out a little. You should have a square about 12×12 inches. Cut it into 4 equal squares (these are for large turnovers, you can certainly make smaller ones if you like). The filling isn’t complicated. It’s mostly sweetened shredded coconut. For the binder, I used cream of coconut. 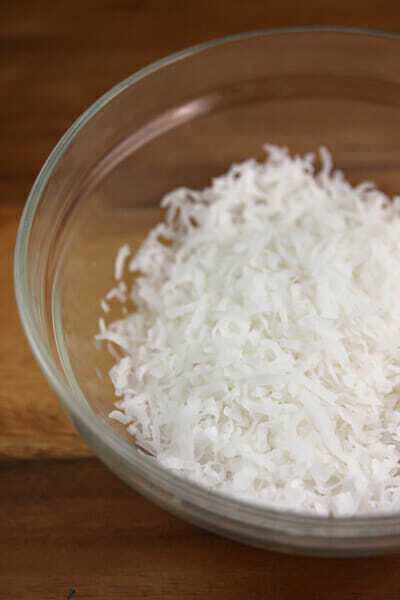 We use cream of coconut in a lot of our recipes, so it shouldn’t be too foreign by now! Don’t confuse it with coconut milk. Cream of coconut is thick and sweet with strong coconut flavor. You find it in the alcohol section of the grocery store (it doesn’t contain alcohol, though.) It will be either in a can or squeeze bottle near the mixers like pina cola and bloody mary mix. This recipe doesn’t use a whole lot of it, but don’t let that stop you from buying it, we have plenty of things to make with the leftovers! I also add a little coconut extract for good flavor. Divide the mixture evenly between your pastry squares. Place it on just one half and spread it out to the corners a bit, keeping it about 1/2 inch away from all edges. Dip your finger in water and run it along the edges of the pastry and then fold them in half and gently press the edges together. 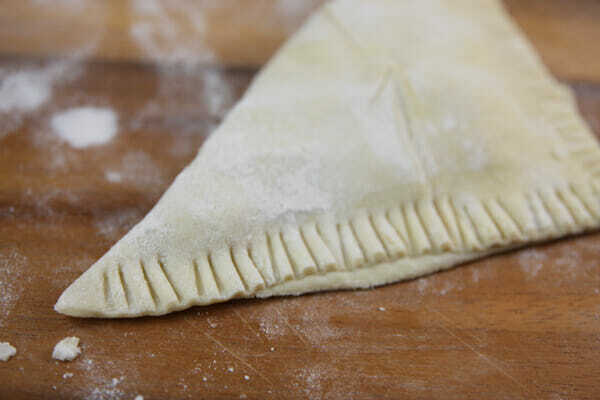 Use a fork to crimp, and also to poke once on top of each turnover. Pop them in the oven for 15-20 minutes or so, until they’re puffed and golden and then place them on a cooling rack to cool and stir up your glaze ingredients. I put coconut extract as ‘optional’ in the glaze. You really only want a teeny bit in there, or the alcohol flavor in the extract will be a little too strong, so just don’t be too heavy handed with it. 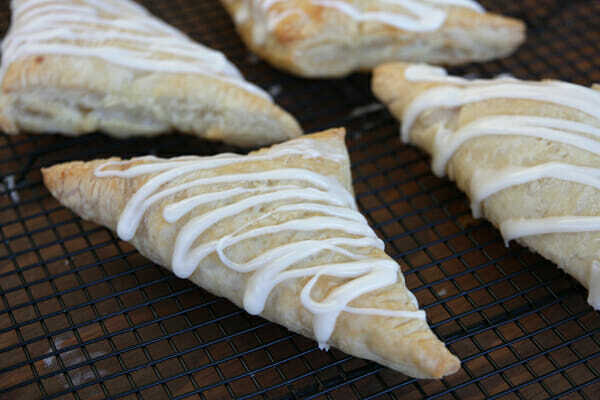 When the turnovers are just barely warm, not hot, drizzle the glaze over them. I like to let them cool to at least room temperature before eating. The outsides are flaky and buttery and you get the sweet bite from the glaze. 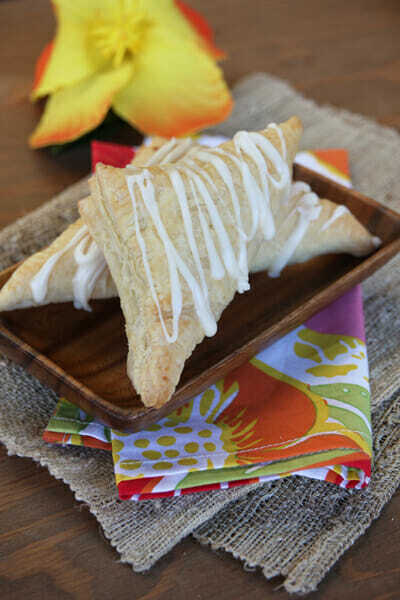 Inside the flaky layers of pastry is that creamy, flavorful coconut tucked away like a tropical surprise. These would be perfect for a tropical themed brunch or baby shower meal. You could serve them up fresh pineapple, mango, and kiwi, a pan of Croissant French Toast or Coconut Banana Bread with Lime Glaze, and a big pitcher of Mango Coladas or Sunrise Punch. If you need a little savory in there, try our Steak and Mango Salad, or our Teriyaki Chicken Salad. Preheat oven to 400. Combine coconut, cream of coconut, and 1/4 teaspoon coconut extract. Thaw puff pastry according to package directions. Place on a lightly floured surface and gently roll out into a square about 12×12 inches. 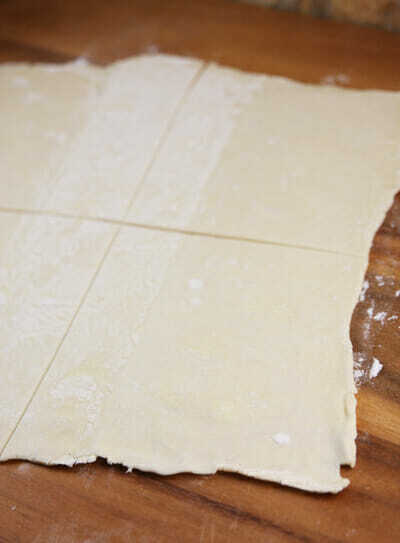 Cut puff pastry into 4 equal squares. Place 1/4 of the coconut mixture on top of each pastry square, spreading out the mixture on one half of the square in a triangular shape. Keep the mixture 1/2 inch away from all edges. Dip a finger in water and lightly run it around all the edges of pastry square. Fold in half, creating a triangle shape. Gently press edges together, and crimp with a fork. Take fork and poke through top of each pastry. Place pastries on a baking sheet and bake for 15-20 minutes, until puffed and golden brown. Transfer turnovers to a cooling rack. While pastries are cooling, combine glaze ingredients and stir until smooth, adding more liquid if necessary. When pastries are just slightly warm (not hot) use a fork to drizzle glaze, or place glaze in a small zip top bag with a corner cut off. Drizzle evenly over pastries and let cool. I can’t believe I’ve never thought of these before!! Best turnover flavor ever!!!!! My only question is…why would anyone want to make these smaller?!? Could I use vanilla instead of coconut extract? If not, what would you recommend as a substitution. You certainly could, but you lose out on the coconut flavor. If you don’t want to use coconut extract, you could really just leave out extract all together. Oh I MUST make these!!! Sara hey where do you buy your puff pastry?! You can find it in the freezer section of the grocery store. Pepperidge Farms is the most common brand. ok now I am craving these and I may have to mix in some chocolate chips with the filling. I was gifted with four pints of pie cherries this morning and came looking for a turnover recipe for them. How funny that you posted the exact recipe I needed! (Ok, not exactly, but I can adapt it.) One question, can I freeze extra turnovers? How would ypu suggest they be reheated? Yep, this is exactly how I make cherry turnovers too. But I toss the cherries in just a bit of flour and a pinch of sugar and a little almond extract. You could probably freeze them (although I never have, after baking). I’d reheat in a 400 degree oven. I am missing the “Pin It” button!? Cannot wait to make these with my boys. They LOVE coconut! Stop it! I’m hungry again! No – don’t stop!!!! Just let me step into your life for awhile. Gosh – I could even smell them baking! YUM! My boy would die for these! Love it! Oh Sara! 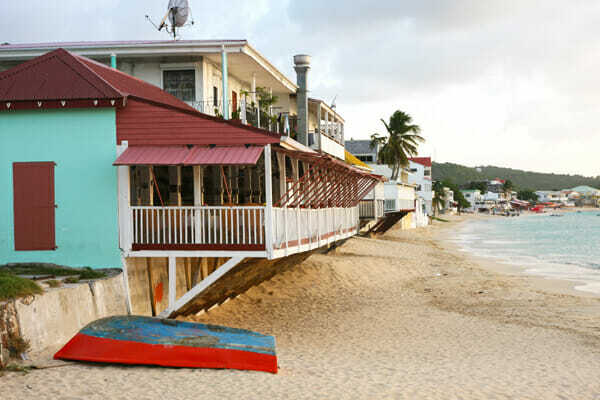 Did you get to check out Serafina’s on St. Maarten? Oh my goodness! These look great, too. Must try them. wow, what a gorgeous setting! 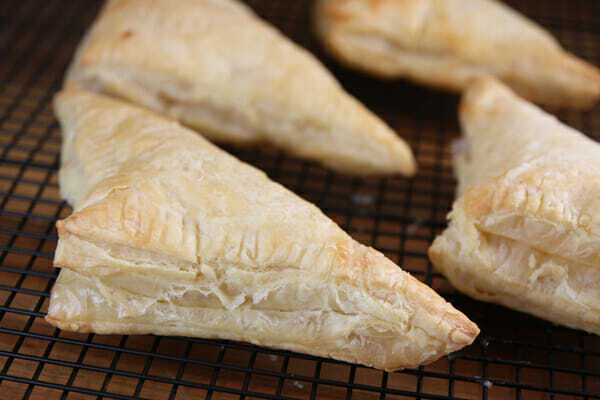 and those turnovers look delicious! thanks for sharing! We were just in St. John and had the best coconut tart- cooked by vie….in a little hut on the side of the road…divine. pinning this to make later. oh heavenly…so pleasing to the eye and to be sure the stomach! I want these right now! Couldn’t wait to try them, so made them tonight… YUMMMM! Oh my. 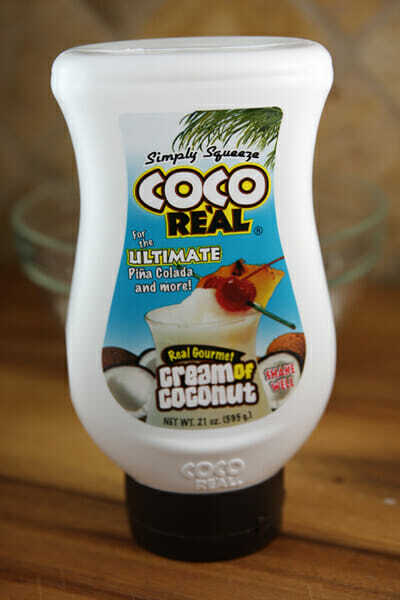 I need to get some Cream of Coconut. Quick! What temp should the oven be? I can’t seem to see that anywhere! Yum!!! I need to make these sometime soon!!! I’m just made these! I decided to do half of them with a little lime zest & juice. Thanks for the simple recipe! Delicious! Hi, sometimes the texture of coconut is distracting to me in desserts. I know, a bit strange. If I whirled the coconut in a food processor before adding the cream of coconut, would that change anything significantly? So good, I toasted my coconut, in 2 of them I put chocolate chips. ❮ Previous Post Previous post: Tin Can Treats, Father’s Day Edition!